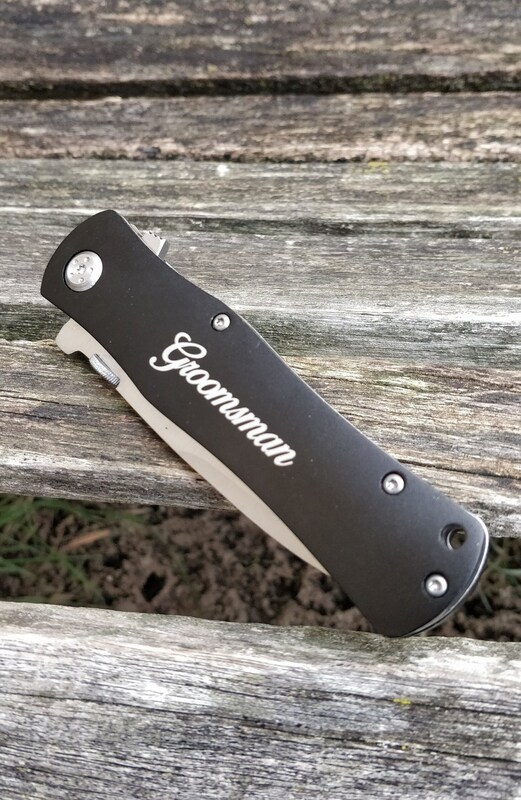 Custom Pocket Knife, Laser Engraved. 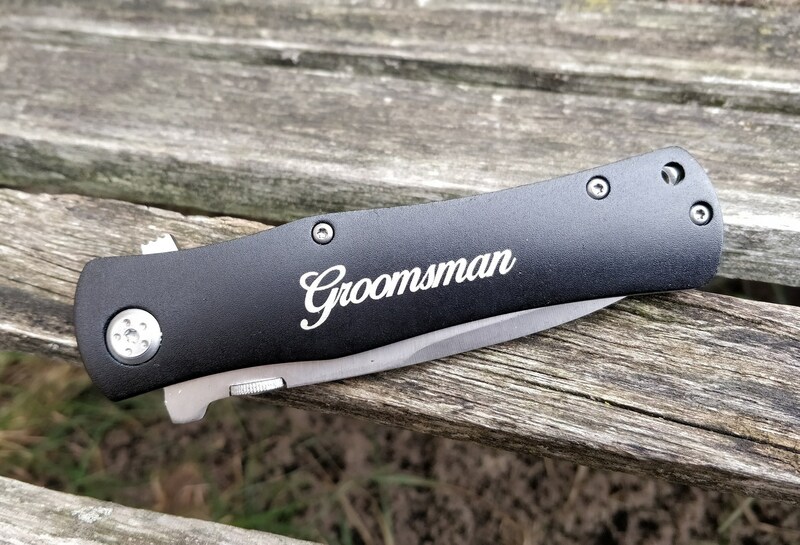 Wedding, Men, Groomsmen Gift, Dad, Anniversary. 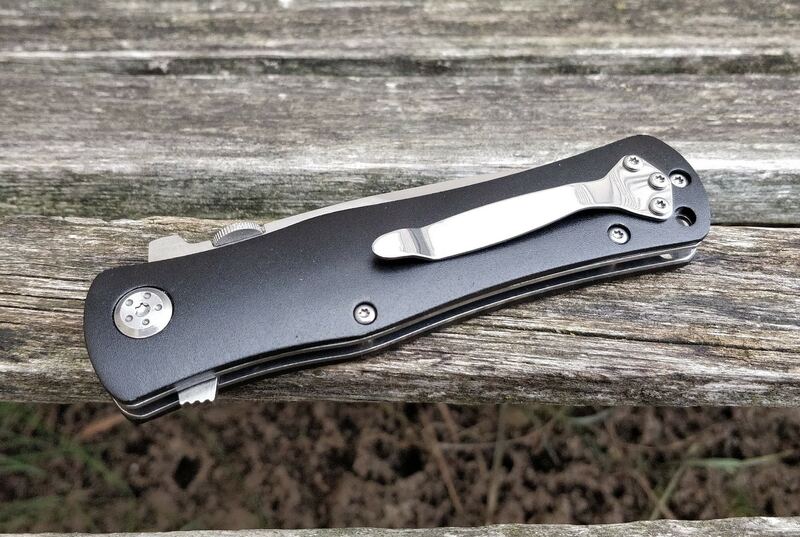 Knives. 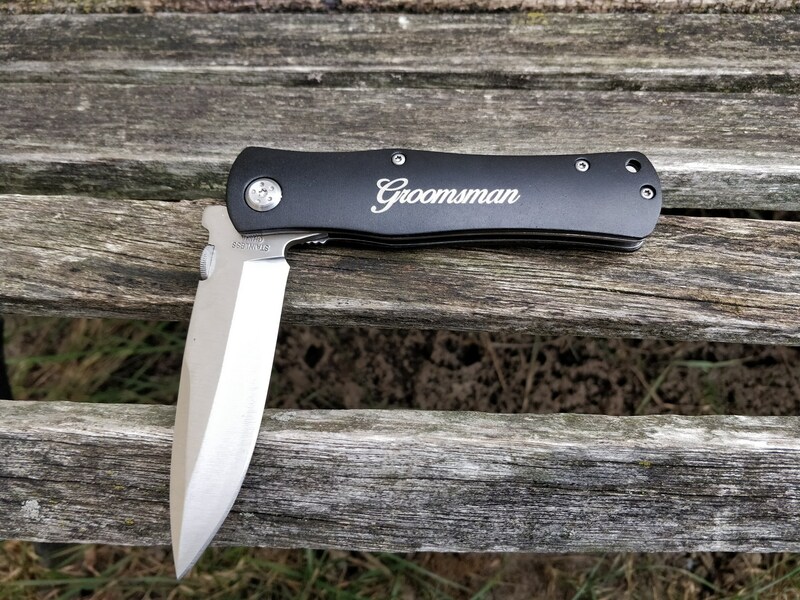 These pocket knives make extra special gifts! They look great and are something that will be used for years. 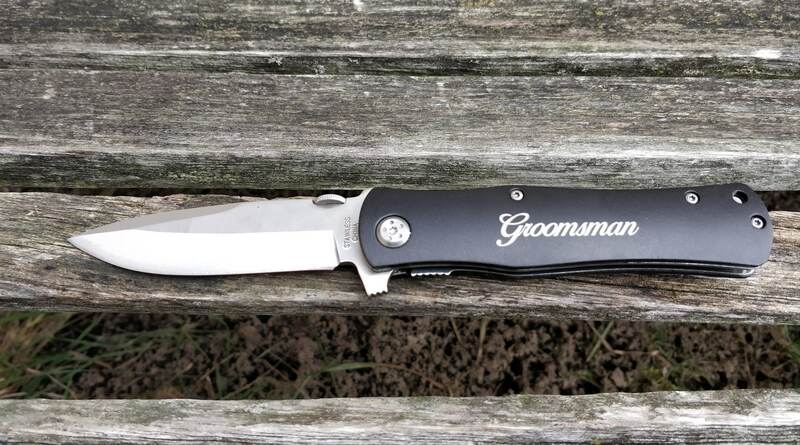 The knives are made from stainless steel and have a locking blade and a clip on the back. It measures 4.5" long when closed; 8" long when open. They can be engraved with any words or image you would like. ---> Select the number that you would like to order from the drop-down menu that says "Number of Knives". Leave the Quantity menu at 1. 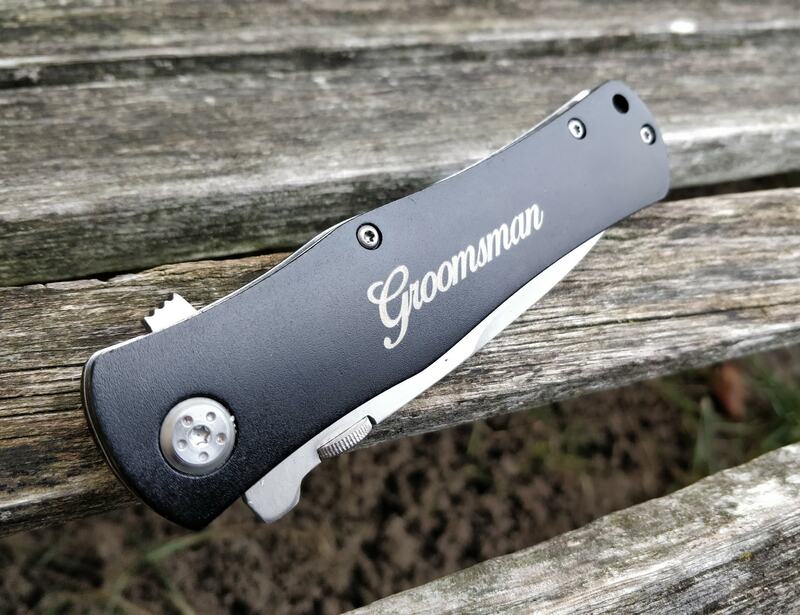 ---> PLEASE LEAVE A MESSAGE AT CHECKOUT WITH WHAT YOU WANT ENGRAVED ON EACH KNIFE..
Each item comes in a gift bag or gift box.